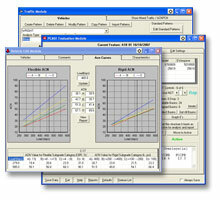 For help using the PCASE Desktop we offer on-line Computer Based Training or PCASE 2.09 User Manual. Computer Based Training steps you through the software (audio and visual) as if you are actually in a PCASE Workshop. The PCASE 2.09 User Manual provides the information necessary to get started and use the PCASE2.09 desktop.